After a fascinating week one of action in the college football season, there is plenty of change in the weekly AP poll. LSU made the biggest statement, knocking off Miami on Sunday night behind a strong performance from running back Nick Brossette and a fearsome showing from their athletic defense led by Devin White. The Tigers have jumped 14 spots following 60 minutes of action, finding themselves 11th in the latest poll, with the Canes' dropping to #22. Sitting pretty at number one in the poll's once again are Nick Saban's Alabama. 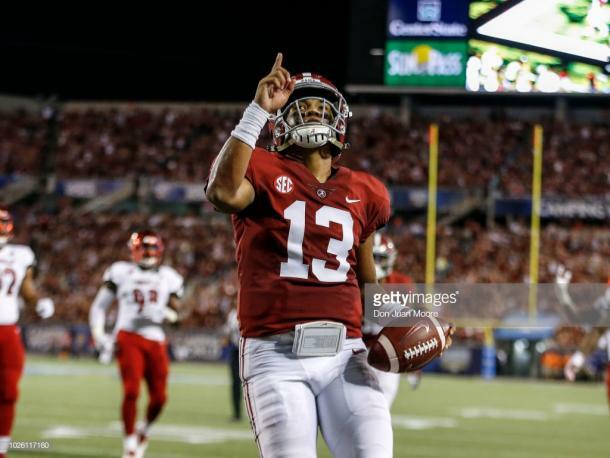 The Tide were in control for the entirety of their 51-14 victory over Louisville in Florida, with quarterback Tua Tagovailoa impressing in his first start with a pair of touchdown passes, while also scoring one on the ground. The Cardinals were limited to just 16 yards in defeat, but new starting quarterback Juwon Pass showed signs that he could be a competent replacement for former Heisman winner Lamar Jackson. Clemson, Georgia and Ohio State round out the top four in the rankings following big week one wins, while Texas and Florida State drop out of the top 25 altogether following disappointing losses. With the NFL not starting until the second week of September, college football is afforded the Labor Day weekend to dominate television schedules. The increased eyeballs give prospects the chance to shine on the biggest stage, and there were a number of standout performances in week one. Friday evening's slate was supposed to be all about last year stud running backs, but it was a Stanford wideout who stole the show. 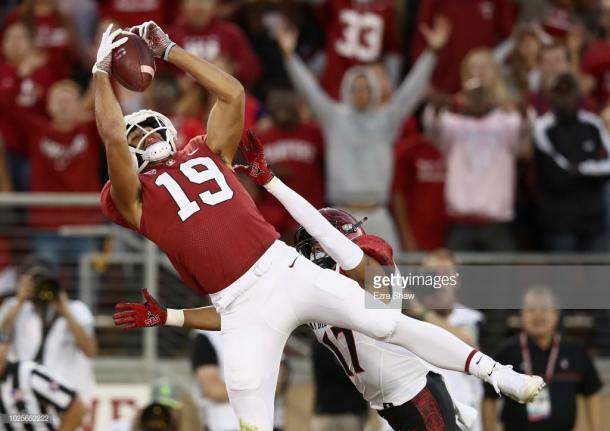 With 2017 Heisman finalist Bryce Love shut down by the San Diego State defense, the tenth ranked Cardinal relied on JJ Arcega-Whiteside on the outside. The 6-3 senior hauled in just six receptions from QB K.J Costello, but managed to turn that into 226 yards and three touchdowns as he dominated the Aztecs' secondary to cap a 31-10 win. On Saturday, Kyler Murray led #6 Oklahoma to a 63-14 home victory over Lane Kiffin's Florida Atlantic, while Heisman hopeful Will Grier threw for five touchdowns in #14 West Virginia's 40-14 beatdown of Tennessee.